Who hasn’t enjoyed a great ride at an amusement park in the summer months? It’s a staple of summer fun and entertainment for children, teens and adults. 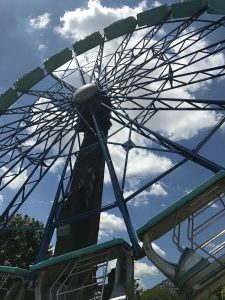 Your trip to an amusement park should be free of worry about accidents and injuries, but it’s becoming all too common to see serious injuries inflicted because of careless operation of amusement park rides. There certainly are well-maintained amusement parks, and there are also those that are not. You probably won’t be able to tell which one you’ve chosen by looking at them. Kentucky amusement parks have certainly had cases of serious injuries. The one that almost everyone remembers is the 2007 incident at Six Flags in Louisville (which has since closed). A 16-year-old girl was riding the Superman Tower of Power ride when a cable wrapped around her feet and severed them. The girl’s family sued the park. At the Louisville Zoo, a small train designed for parents and their children crashed. One man had his leg pinned under the train and had a series of eight surgeries to repair the damage. He had missed 18 months of work at the time of the lawsuit. A small child had disfiguring face injuries, and many others were injured in other ways. The claims were eventually settled.